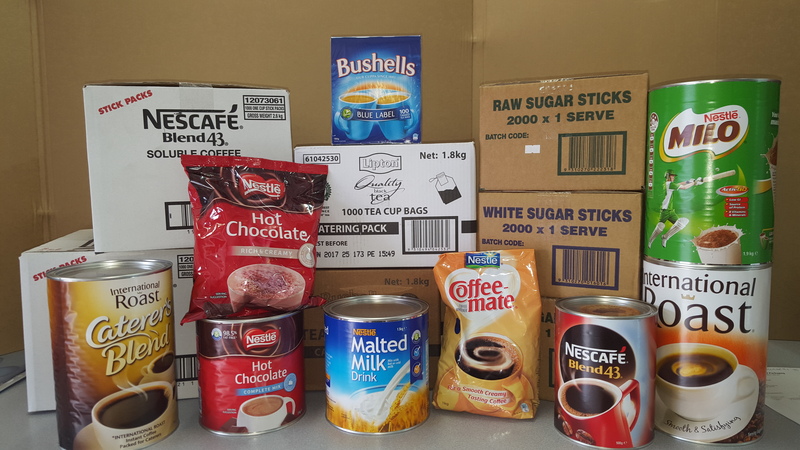 Gympie Packaging has a wide range of bulk food supplies, from tea and coffee, sugar and milk to coffee syrups and milkshake flavourings, we can stock your tearoom or help with bulk catering events. 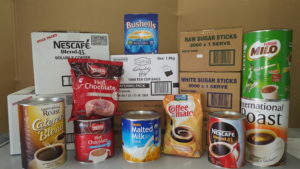 We keep a range of tinned groceries and order weekly from our suppliers so can usually source common products and specialties as required. Gympie Packaging also stocks catering quality food wrap, foil and baking paper, along with foil trays, foam trays and plastic platters.